Comfortable mattress ideal for single beds, bunk beds, high sleepers and mid sleepers. The Chand mattress is a great choice for children's beds. 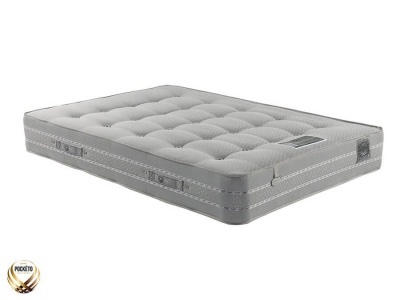 Bonnell spring mattress providing extra bounce compared to a foam mattress. UK single: H15 W90 L190 cm. UK small single: H15 W76 L190 cm. Made in the UK to British Standards and Regulations. Vacuum packed great for awkward access. The quality of your mattress will not be affected and will return to its usual quality after 24 -48 hours of opening. Part of our collection of mattresses.